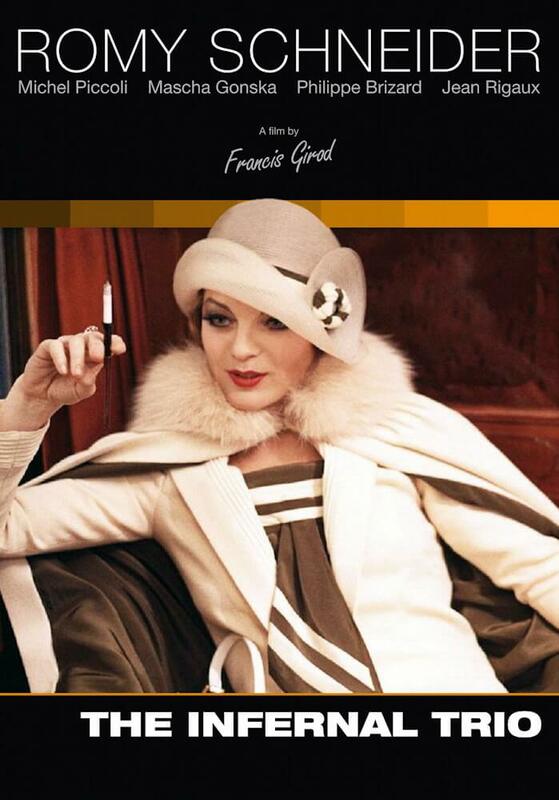 On the occasion of the 80th birthday of Romy Schneider on September 23, 2018 UCM.ONE publishes the film “The Infernal Trio” (1974) by director Francis Girod in a restored HD version almost everywhere in the world as part of the Édition ParaSol Videothèque of the label Artkeim² for the first time on VoD portals. Coming to the theaters in 1974, “The Infernal Trio” is a provocative drama about greed and selfishness. With drastic representations, relentless direct play and selfish acting characters this stripe fulfills all requirements of a scandal film. The sometimes bizarre plot for the murderous, insurance fraud-specific trio originates from true events that took place in Marseilles in the 1940s.